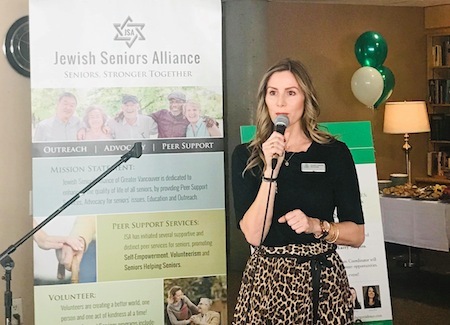 On Aug. 22, Jewish Seniors Alliance held its now-annual barbecue for peer support services volunteers, in appreciation of their work with seniors. This year’s celebration, attended by about 50 people, was a joyous affair, with food and musical entertainment, and speeches from volunteers. Most of the attendees at the barbecue were volunteers or staff of the peer support services program, and a number of JSA board members also joined in the festivities. The food for the meal was contributed by the volunteers. Charles Leibovitch, JSA peer support coordinator, and Grace Hann, JSA peer support volunteer trainer and supervisor, spoke and welcomed everyone before introducing JSA president Ken Levitt, who thanked everyone for their hard work and mentioned some of the issues for which JSA is advocating, such as a universal pharmacare program. After Levitt spoke, Leibovitch called on Serge Haber, president emeritus and founder of JSA, to say a few words. 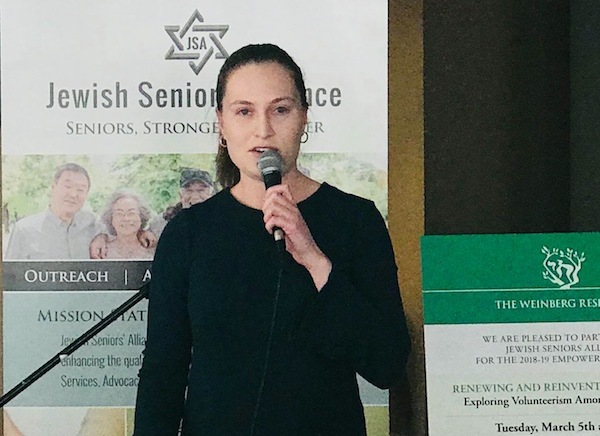 Haber spoke about the needs of seniors and how JSA is trying to advocate for and fill some of those needs. Hann explained about a crowdshare in which some of the volunteers had participated – a listening program that takes place every second Monday, 5-6 p.m., on Bute Street at Davie. Hann also thanked everyone who helped set up the event, including JSA coordinator Liz Azeroual and Azeroual’s husband, Baruch, who did the barbecuing. The musical trio of Dave and Julie Ivaz and their son, Harrison, provided a wide-ranging performance. They played guitar and sang many songs familiar to the audience. For more information on JSA, its peer support services, the listening and other programs, visit jsalliance.org. “It’s not for me.” “I’m too busy.” “I’ll volunteer when I’m retired.” All of these responses (excuses?) are familiar to me. Because, at one time or another, I hid behind each one of them. I never felt I was good at time management, so how could I possibly take on volunteering when I was working full-time? Sure, I could multitask at work, because I had to. But did I enjoy working that way? Not even a little. To me, time management meant working eight hours a day, worrying about work for the next eight hours, sleeping and dreaming about work for the following six hours, spending the next two hours showering, eating breakfast and reading the newspaper, then repeating the process. For decades, I functioned – notice I didn’t say lived – this way. I had tunnel vision of the worst variety. The novelty of not having to rise at a particular hour is intoxicating. Not that I indulge myself very often. After all, I had 34 years of 6 a.m. alarm clock reminders that had trained my body to get up with the sun. I confess that now, after two years of retirement, I occasionally sleep till 8:30 or even 9 a.m. But then, of course, I feel guilty. I’m Jewish after all. Not long after I retired, I got an email from Rabbi Yechiel Baitelman of Chabad Richmond notifying me about an upcoming six-week Jewish Learning Institute course. I think it was called The Jewish Course of Why. Since I’m an inveterate question-asker and perpetually curious, I took the bait. And I was hooked. Somewhere between the questions and the answers, the good rabbi saw an opportunity to recruit me for some volunteering. I may have casually mentioned that I’d just taught myself to bake challah using YouTube. Next thing I know, I get a call from Grace Jampolsky (“the Challah Whisperer,” as I call her), asking if I’d like to help bake challah for the bi-weekly Light of Shabbat meals that Chabad Richmond delivers to the elderly in Richmond. Sounded like a good thing to do. And who doesn’t love the smell of freshly baked bread? From there, I volunteered to help pack the Light of Shabbat boxes and occasionally deliver them. This gave me the opportunity to visit and shmooze with some seniors, some of whom I already knew through my parents. We talked about family and books, everything and anything. It was a blessing for both of us. About six months into retirement, I realized I still had way too much free time on my hands, and needed to do something useful. Something outside myself. So, I contacted B.C. Children’s Hospital, hoping to volunteer as a “baby cuddler,” not realizing that there’s a long waitlist to do that. But, as soon as the hospital’s volunteer coordinator saw my resumé, she offered me a volunteer position in the Family Support and Resource Centre. After all, what else would a librarian want to do in retirement, but jump right back into working in a library! Naively, I didn’t think to mention in my interview that I’d like anything but a library position. Nevertheless, I gave them the year’s commitment that they asked for and then resigned. Being an infrequently used part of the hospital, the centre didn’t provide the stimulation I was hoping for. I wanted to make more of an impact in my volunteering. The rabbi knows that I have a background in writing and editing, so it wasn’t long before he asked for my help writing press releases and marketing pieces for Chabad Richmond. Writing is my happy place, so I was delighted to pitch in. It has only snowballed since then, and I’m thrilled to report that I love my volunteer activities, and I’m always open to considering new ones. All of this is to say that there is life after retirement – volunteering has been enormously rewarding. At its essence, volunteering is about saying yes to what you want to do, and saying no to the rest. And the yes, well, it’s just so darn sweet! Knowing that Jewish seniors are enjoying the challah I bake, and that the short visits we have might be the only human interaction they encounter in a week – that’s why my heart is drawn to do these things. Believe me, as a volunteer, working with people, you get way more than you give. And Israel Connect? It’s the best spent 30 to 45 minutes of my week. Helping an Israeli teen improve their English so they can get into university or pursue a career that requires English proficiency – that makes my heart sing. And, we have fun. With each different student (all girls, so far), I’ve managed to make a connection and form a bond. After each week’s official tutoring is finished, we talk: about their hobbies, plans for the future, our families, travel, everything. From week to week, I notice not only improvements in their English, but a relaxation that comes from forming a real intergenerational friendship. I hope to visit my students when we travel to Israel soon. I’d be remiss if I didn’t include the bits and pieces of volunteering I did while I was still working full-time as a librarian and communications officer at Richmond Public Library. I did manage to squeeze in some fundraising and communications work to help promote the Crohn’s and Colitis Foundation of Canada’s annual Gutsy Walk fundraiser. In a much more humbling capacity, I was also part of a program about eight years ago, called Feed the Hungry, in which a bunch of volunteers from Ahavat Olam made and served lunch to Downtown Eastside (DTES) residents on a regular basis. And, for several years, I volunteered, along with my husband, brother-in-law and/or friends, serving Christmas lunch at the Salvation Army Harbour Light Mission in the DTES. For a couple of years, I was a volunteer board member with the Isaac Waldman Jewish Public Library, as well as being the B.C. Library Association representative for the West Coast Book Award Prize Society. All of them together were growing and learning experiences of the highest order. We guard our free time so rabidly, we forget that part of why we’re put on this earth is to help others. The satisfaction and joy that comes from doing something outside ourselves, something for a higher purpose, is indescribable. Believing is seeing. But don’t just take my word for it. Volunteers are integral to almost every nonprofit organization, and Jewish Federation of Greater Vancouver is no exception. With this year’s annual campaign well underway, the Jewish Independent spoke with Karen James, who became Federation’s new board chair earlier this year. Jewish Independent: You’ve been involved with various organizations over the years, such as the Jewish Family Service Agency and the Canadian Jewish Political Affairs Committee. With which organizations are you currently volunteering? Karen James: When I took on the role of chair of Federation, I let go or passed on most of the other things I was doing. I had been on the board of JFSA and chaired for the past year, but have passed that on. I am still representing Vancouver on the Jewish Agency for Israel board of governors meetings but that is the only other thing I am doing. That still connects to Federation, as we support the agency and Vancouver now has a stronger voice with the agency. I still support CJPAC and JFSA in any way I can. JI: How do you balance volunteering with working? Is it a challenge? KJ: I am very fortunate to have a business that does not demand too much time of me right now. Mostly, the balance is between volunteering and time for myself and time for a social life. The board chair is a significant role. There is no question that I would not be able to do much else. There are many different and moving parts to Federation and this role. I couldn’t imagine having a full-time job and doing this. I want to learn and support everything going on in our community but there are limits to my time and energy sometimes. JI: How and when did you become involved in Federation, and in what capacities to date? KJ: I first became involved at Federation in 2007 when I came back from a Federation-led mission to Israel. I took on the role of vice-chair for community and sat at the campaign table. After that, I was women’s philanthropy chair, then chair of financial resource development and then, in 2013, chaired the Israel and overseas affairs committee for four years before stepping into the board chair role…. Because of my involvement over the past 10 years, I can see the full picture of what Federation does and what is happening in the community. JI: What motivated you to take on the role of Federation board chair? KJ: I like working with people and the move to chair of the board did seem like a natural progression. I also know that Federation is looking at longer-term succession and was looking at me possibly filling the role, so it wasn’t a surprise…. I want to give back. I have the time and energy to give to my community. Community means everything to me. I was disengaged and, when I moved back to Vancouver, I said I wanted to be part of community, that it was missing from my life. We can be there for each other in times of need and in times of celebration and naches. JI: In what ways have you witnessed Federation evolving with the community and its needs? KJ: The 2020 Strategic Priorities. As we developed [it], we sought input from a wide cross-section of community stakeholders, partner agencies, etc. – 2020 is a commitment to more flexible funding models and more grassroots. I have witnessed that we all [are affected by] the affordability issues in our city. We not only need to address this within our community in the city but also in the suburbs of Vancouver, where our Jewish population is moving to. Over half of our community now lives outside of Vancouver. How can we address their needs, because, if we don’t, we run the risk of losing them entirely? We will need to provide services and programs closer to where this population is living. It’s also expensive being involved in community life in the city. Housing payments, food, transportation, these are all issues that affect our community members. And then, the cost of Jewish day school, synagogue membership, JCC membership. It all adds up. We have to be able to support these families and individuals, too. JI: What excites you most about this year’s campaign? KJ: Incentive and the opportunity it represents to grow the base of support. If we’re going to help everyone, we need everyone. Everyone has a role to play. Tzedakah is a mitzvah you have to do yourself. Sense of urgency: the community is at a turning point. If we can connect people – either by bringing programs and services to where they live or by keeping the programs and services affordable and offering subsidies – then we can keep them connected to community. Otherwise, we’ll lose them. We only have so much time to make a real difference. JI: What, if any, of the 2020 priority items speak to you personally, or most? KJ: Food security and affordability, but especially regional communities and reaching out them. I lived in White Rock/South Surrey for almost 30 years and was there when the WRSS JCC got started. There was nothing out there when I was raising my children and it was a long drive into Vancouver. I know how important it is to provide Jewish [options] outside of Vancouver…. The affordability issues are driving them out there, now we have to take care of them. JI: When you’re talking to people about the campaign, what do you say to them about the benefits of contributing or volunteering? KJ: I get more than I give. It is rewarding to me and I feel so lucky to be able to volunteer and give of my time and my resources. The rewards for being involved, for giving and helping are the connections to my Jewish family/community. KJ: I know what it feels like to be disconnected from community, and it has been so valuable for me to connect. I barely knew anybody and, by getting involved, I’ve learned what community is all about. One of the incentives to which Karen James was referring is that annual campaign chair Alex Cristall and his family will donate an additional $250 to the campaign for each gift from a donor who missed last year’s campaign or who is making a first-time gift. For more information on this initiative, the campaign in general and the types of programs and services Federation supports, visit jewishvancouver.com. The Jewish Family Service Agency Seniors Lunch program held its annual volunteer appreciation event on Aug. 8. The volunteers were treated to lunch catered by Omnitsky and had the chance to share why they are involved in the program. Most of the volunteers have been with this weekly event for up to 15 years. A close bond has formed among the volunteers and the warmth and camaraderie is what contributes to the success all around. They spoke movingly about how important it is for them to be involved in it, to give their time to it, week in and week out. They said they believe so strongly in what JFSA does and, therefore, want to be involved in some way. 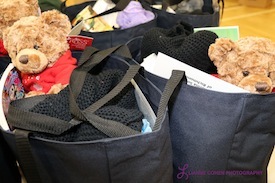 When asked why they are so committed to this program in particular, the volunteers said they loved the seniors, that it felt so good being with them and that their own week went better when they were giving to others. Their longtime involvement is a testament to the importance of the lunch program – they want to help make sure that it continues to flourish. The JFSA Seniors Lunch is completely volunteer-driven. It is a full-course, sit-down kosher lunch held every Tuesday at noon. 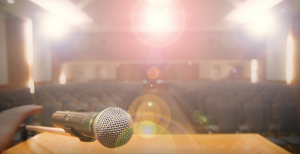 It is held twice a month at Temple Sholom, once a month at Beth Israel and, the last Tuesday of the month, a movie is shown in cooperation with the Vancouver Jewish Film Centre at the Peretz Centre. Seniors enjoy being with old and new friends from the Jewish community. Socialization and good nutrition are two primary determinants in healthy aging and the lunch program addresses both of these issues. For more information and reservations, please call JFSA at 604-558- 5709.